2019 New Years Honours update! Congratulations to Gordon who has been awarded with an MBE in the new years honours list! “To all my dear friends here and abroad. You may be unfamiliar with the name however for the past 40 years, Gordon Giltrap has tirelessly devoted himself to his craft. He has perfected his own unique hybrid picking style and created a rich body of work which excites and inspires his devoted fan base across the world. 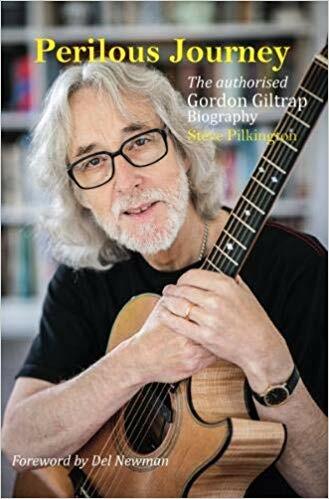 Back in the late 70’s his hit single ‘Heartsong’ was chosen to be the theme for the BBC’s ‘Holiday’ programme and since then Gordon has been in demand as an arranger and composer including writing two pieces for Cliff Richard’s west end musical ‘Heathcliff’. He has recorded a vast range of original studio albums including collaborations from Oliver Wakeman to Raymond Burley. 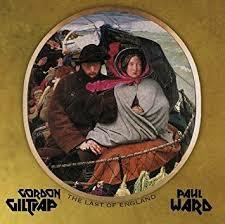 For his latest offering ‘The Last of England‘ Gordon has enlisted the keyboard skills of Paul Ward and the result is a deeply moving collection of songs some of which would be very comfortable as part of a film score. As an inspirational figure in guitar education, Gordon is on the Board of Honorary Patrons for ‘The Registry of Guitar Tutors‘ – a world renowned educational association offering graded guitar exams through the London College of Music. Some of his own pieces have also been recommended by the association for their acoustic guitar grades. 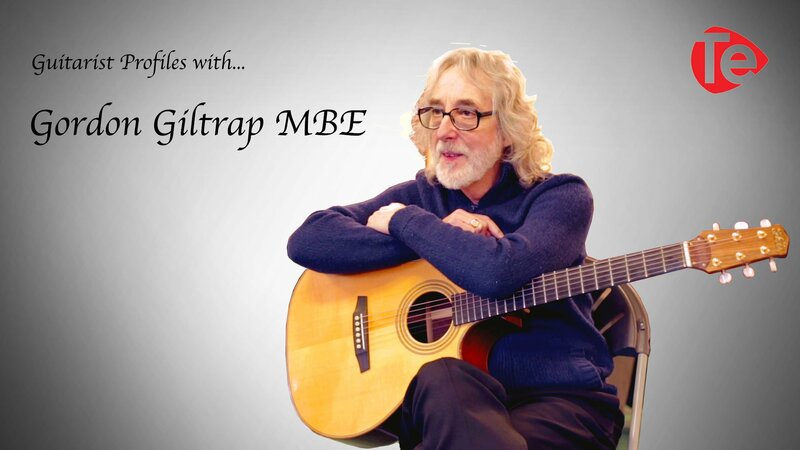 In 2015, Gordon set up the Gordon Giltrap Guitar Academy – with the aim to teach acoustic guitar based on his varied back catalogue with masterclasses from Gordon himself. Back in February 2017, I was fortunate enough to attend a sharing day billed as a more informal meeting than the academy workshops. It proved to be a fantastic opportunity for the group to ask questions and receive tips and advice on playing technique and composition as well as a closer look at some of the pieces from Gordon’s substantial and varied career. I was lucky enough to take some time out to chat to Gordon about what inspires him to play and his latest collaboration with Paul Ward on the fantastic new album ‘The Last of England’. Gordon Giltrap is a fabulous guitarist. I just asked my Alexa to play me “Heartsong” and I am just blown away at the talent one person can have. I am a guitarist myself, but I’m afraid I don’t make much time to play anymore and am quite rusty. It’s an ever-present goal to make more time for music again…hopefully I’ll achieve that one day. What an experience you had to get to interview him. Many people’s dream, I’m sure! Hi Holly, yes he’s a fantastic player and very humble in person. His masterclasses are so great and I felt honoured when he agreed to the interview. He’s one of the greats who inspires me with my own playing and songwriting too. Wow, Gordon Giltrap has a very impressive career. It always inspires me to see people who took their time to perfect their craft being awarded for their numerous years of hard work. It just goes to prove once again that there is no such thing like an overnight success. Especially with music, from my experience, it takes a lot of hard work to become one of the best. Hi Etah, yes he’s worked with some of the greatest musicians over the years. He’s also big in to helping the local community and sharing his skills as events and masterclasses. His recent MBE much deserved! Gordon runs equally, for me, with Tommy Emmanuel. Being a 72 year old guitarist I have learnt to play some of Gordon’s wonderful material but I am still in awe of his playing, especially with all of the different tunings and even more so on his classic Appalachian Dreaming where he pins the top string down on the tenth fret to achieve a wonderful sound, and above all of that he is a complete gentleman. Thanks for leaving a comment Richard. Yes, Gordon is very creative in his compositions using partial capos to create unique sounds. Its great that his music inspires people of all ages too. Did you attend any of the sharing days recently?